The long-running litigation spawned by the leveraged buyout of Tribune Company, which closed in December 2007, and the subsequent bankruptcy case commenced on December 8, 2008 has challenged the maxim that “there’s nothing new under the sun” even for this writer with four decades of bankruptcy practice behind him. A procedural history of that litigation, or even just one part of it, the so-called FitzSimons adversary proceeding, would consume far more words than can be squeezed into a single blog entry. In FitzSimons, the Litigation Trustee of the Tribune Litigation Trust has been pursuing damage claims against numerous parties for conduct occurring in, or avoidable transfers resulting from, the LBO. The defendants have ranged from the officers and directors of Tribune Company to shareholders with modest holdings of Tribune stock who were bought out. Various claims and defendants in the LBO litigation, including in FitzSimons, have already been disposed of on appeal or settled, and a major FitzSimons decision rendered January 6, 2017 will certainly be appealed to the Court of Appeals for the Second Circuit after other pending motions are resolved. A key allegation of the Litigation Trustee has been that payments received by the non-controlling Tribune shareholders are avoidable on various theories (excluding intentional fraudulent transfer). However, he has been stymied so far in pursuing this allegation by one of the so-called “safe harbors” provided in the Bankruptcy Code--Section 546(e)’s protection for “settlement payments,” which has been very broadly construed by the Courts of Appeals in the Second and Third Circuits. On July 18, 2017, the Litigation Trustee submitted a request to Judge Sullivan that is unprecedented in my memory (and the Trustee did not cite any precedent for exactly what he proposed). The Trustee was requesting Judge Sullivan to authorize him to file a further amendment to his latest amended complaint to add a new count that would be directly, even brazenly, contrary to Section 546(e) as definitively interpreted in the Second and Third Circuits. Whatever for? He informed the Court that the Supreme Court had recently accepted an appeal from a Seventh Circuit decision adopting a much narrower view of the scope of Section 546(c). 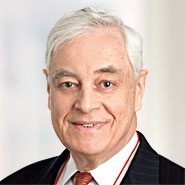 If the Supreme Court affirms that decision, he argued, the Second and Third Circuits’ interpretation of Section 546(e) would no longer bar his avoidance claims against the former Tribune shareholders. He proposed, that, if Judge Sullivan permitted the new count to be added via amendment, the new count would be stayed pending action by the Supreme Court and dismissed if the Supreme Court reverses the Seventh Circuit and thereby leaves current Second and Third Circuit law in place. [T]he Trustee does not dispute that his [proposed] constructive fraudulent conveyance claim is presently barred by governing circuit precedent. [citation omitted] The proposed amendment would thus be futile at this time, and the mere prospect of change in the law is not a sufficient grounds for permitting the filing of an otherwise admittedly futile amended complaint. . . . If, and when, the Supreme Court affirms the Seventh Circuit in FTI Consulting, the Trustee would have a strong argument in support of amending his complaint to include the constructive fraudulent conveyance claim. Until then, the tea leaves of the Supreme Court’s docket are insufficient to overcome the clear Second Circuit authority that renders the Trustee’s proposed amendment futile. And thus ended a creative attempt to accomplish some unstated purpose (perhaps to avoid the effects of a statute of limitations, more likely to exert settlement pressure) without success. Depending on the outcome of FTI in the Supreme Court, circuit law on the scope of Section 546(e) will change in either the Second and Third Circuits (and likely others) or the Seventh Circuit (and likely at least one other), with great impact on the course and the outcome of many avoidance adversary proceedings. See PBW&T Client Alert December 2008. In re Tribune Co. Fraudulent Conveyance Litigation, 11-MD-2296, Kirschner v. FitzSimons et al., 12-CV-2652 (S.D.N.Y. Jan. 6, 2017). Intentional fraudulent transfer had been alleged against controlling shareholders and other insiders; that claim was dismissed as part of the January 2017 decision. See Official Committee of Unsecured Creditors of Quebecor World (USA) Inc. v. American United Life Insurance Co., 719 F.3d 94 (2d Cir. 2013); Enron Creditors Recovery Corp. v. Alfa, S.A.B. de C.V., 651 F.3d 329 (2d Cir. 2011); Brandt v. B.A. Capital Co. LP (In re Plassein International Corp.), 590 F.3d 252 (3d Cir. 2009); Lowenschuss v. Resorts International, Inc., 181 F.3d 505 (3d Cir. 1999). Although FitzSimons is pending before Judge Richard Sullivan in the Southern District of New York, Third Circuit law remains relevant because it was commenced in the District of Delaware before being consolidated before Judge Sullivan as “multidistrict litigation.” The Sixth and Eighth Circuits have also read Section 546(e) broadly. QSI Holdings, Inc. v. Alford, 571 F.3d 545 (6th Cir. 2009); Contemporary Industries Corp. v. Frost, 564 F.3d 981 (8th Cir. 2009). FTI Consulting, Inc. v. Merit Management Group, LP, 830 F.3d 690 (7th Cir. 2016), cert. granted, 137 S. Ct. 2092 (May 1, 2017). The Eleventh Circuit has also read Section 546(e) narrowly. Munford, Inc. v. Valuation Research Corp., 98 F.3d 604 (11th Cir. 1996). The Trustee asserted that a Supreme Court affirmance of FTI would definitively overrule Second and Third Circuit law on the scope of Section 546(e). I believe that he is right about that, although contrary opinions have been expressed by some commentators.